What is Kinstretch and how can it help you? Kinstretch is the technique used at the new class to hit Well-Fit this off-season, Mobility for Peak Performance. We wanted to shed some light on this mobility technique and how it can help you in your racing. 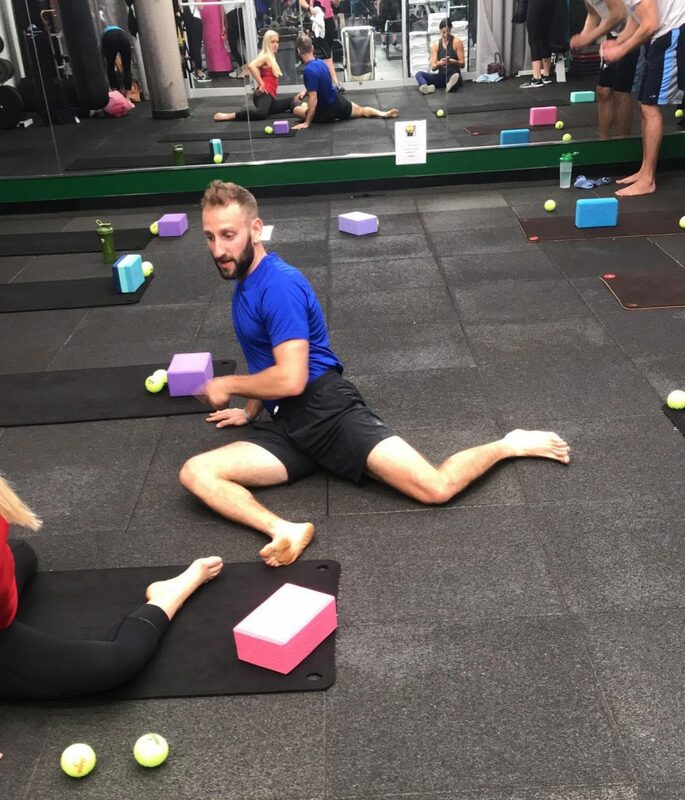 Our Kinstretch expert and coach, Tim Cohen, became certified in Functional Range Conditioning and Kinstretch Level 1 after realizing his own injuries and performance limitations were primarily due to inefficient movement. After many conversations with injured clients, he began to realize the importance of being able to properly address mobility deficiencies within the body. Mobility training is an extremely useful tool to enhance any performance goal, whether it be strength, endurance or injury prevention. It is the fundamental ability to express motion to its fullest extent and no athlete is complete without a sound mobility program in their training. Kinstretch is a movement enhancement system that develops maximum body control, flexibility and usable ranges of motion. All Kinstretch sessions are an exploration of the body’s current movement patterns and will give you the ability to assess where within those patterns mobility deficits may be the cause of injuries, physical limitations and/or performance goals. Tim has been running himself since 2015 when he completed his first half-marathon. This year, he is embarking on his first full-marathon- the Chicago Marathon this October. Since 2015 he has improved his half-marathon time by over 17 full minutes (1:47:49 in 2015 to 1:30:32 in 2018) and attributes much of his improvement to his increasingly strong running technique, which has been enhanced tremendously through mobility training. He is able to train, recover, and train again on a daily basis without having to guess what his body will do or what injuries might come up. He is excited to bring this beneficial mobility training to Well-Fit. Get better! mobility training is no different than any other training, the more work you put in, the better you get. EXPECT RESULTS. Follow Tim in Instagram at @tbone630 and read about his journey training in the altitude room as attempts to qualify for Boston.